As you’ve I’ve bored you until your eyes bled with stories of our school hunt, assessment blah blah blah. Well…….we’re in,*runs around screaming* not from the big one but from our next choice. We haven’t heard from the big one but I’m so delighted its taken so much pressure off my shoulders. It’s a great school and I know he’ll be going with his good buddies. I’m so proud of my wee man I could burst, I always have been. It was such a worry for him with all these assessments, however truth be told it was my worry not his, he took it all in his stride like the amazing little human being that he is. To be honest we needed this we really needed something positive to pick us up from rock bottom. Two months living in a hotel isn’t as fun as it sounds, it was bringing us down and this has given us the boost that it is actually all going to work out. It’s just taking its good old farking sweet time. After a fun afternoon in the park with LPVs nursery school, we celebrated with a family dinner, in the most child friendly restaurant I’ve ever eaten in (post will follow). Anyway to my boy, Mammy and Daddy are so proud of you, you make us smile and proud with every single day. 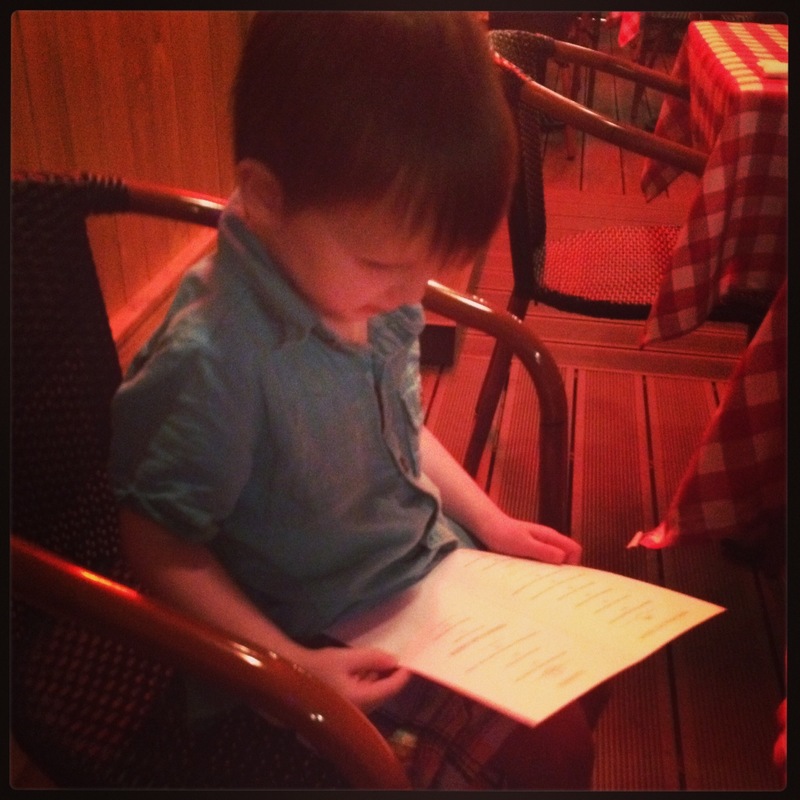 Here is my boy “choosing” what he wants for dinner, he looks so grown up now he seems to have changed so much in the last 48 hours.